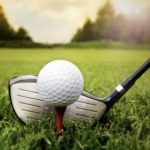 Calling all golfers (new and returning!! )…boys & girls!! There will be an information meeting on Tuesday, December 4th @ 2:45 in the weight room. You must have a current physical in order to play. Multiple Teams · Dec 5 Golf Tryouts!